Carbine CZ 527 is a high quality model to add more details and realism to your rendering projects. Models possible to use in any project. Great for close up render. Model is in the center of the world coordinate. All materials and objects logically named. Autodesk FBX - just simple geometry and animation Every model has been checked with the appropriate software. 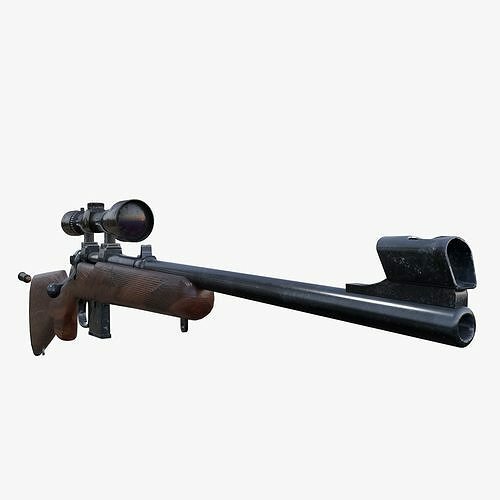 Textures: rifle - 4096x4096 optick - 1024x1024 bullet - 512x512 All objects have the following texture maps - Color, Ambient occlusion, glossiness, metallness,normal_map, reflection, roughness, Specular Intensity. Thank you for choosing my model. I like to do it for you and give you the lowest price and at the same time keeping quality is very high. Hope you like it! Also check out my other models, just click on my user name to see complete gallery.